Channeling, spiritual and esoteric books and more! Almost a decade of telepathic work communicating with a group of entities that collectively have identified themselves as “Samuel” has led to the breakthrough information compiled in the “DISCOVERING YOUR ESSENCE PATH” series. 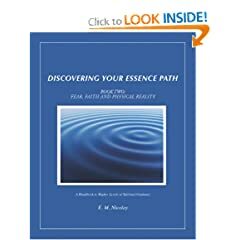 Book Two, “Fear, Faith and Physical Reality” continues your journey to higher levels of spiritual guidance through the understanding of your Essence. 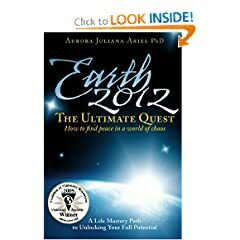 This book, “Fear, Faith and Physical Reality,” Book Two from the “DISCOVERING YOUR ESSENCE PATH” series, builds on the themes begun in Book One providing a more complete analysis of the coming vibrational changes, description of the coming emergence of 4th dimension attributes within the 3rd dimension, the nature of universal dimensional overlap, the polarity of belief, emotion and thought and your relationship to the manifestation of your personal reality. E.M. Nicolay is a gifted internationally-known intuitive, workshop leader and coach who has helped hundreds of individuals, professionals and businesses access higher guidance through a better understanding of their Essence path, as well as the emotional and energetic patterns that are influencing the manifestation of their day to day reality. 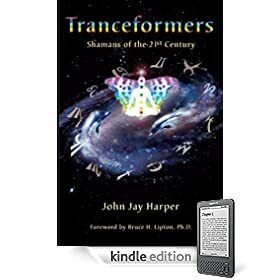 Tranceformers: Shamans of the 21st Century is the true story of this author’s contact with a “dead” physicist colleague, and the telepathic communication that forced him to seek scientific answers to spiritual questions such as these classics: Who are we? Why are we here? Where are we going? For more than a decade, Harper embarked on a spiritual quest of careful reflection and methodical research in “abnormal physics and paranormal psychology,” as he says. This headstrong but heartfelt effort would plunge Harper into the depths of despair and then lift him up to the heights of ecstasy over and over again as he produced an inspired synthesis of great ideas of all ages from cream-of-the-crop scientists and spiritualists. In this unique book, Harper offers comfort far from the simplistic optimism of New Age writers through a deep sense of “knowing,” and that becomes obvious in the preface itself; yet his truth rings true from the first page to the last one. He never loses sight of his objective either, explaining how the mystical experience of every culture is an initiation into the fifth dimension of the shaman’s consciousness. Throughout, Harper summons an astounding array of facts that lend credence to his seminal vision for the rediscovered myths of long-gone but not forgotten civilizations such as the Mayans and Egyptians, and the schools of thought espoused by so-called Freemasons. In short, he has built on a solid academic foundation that spans many disciplines: anthropology, archaeology, astronomy, astrology, physics, psychology, biology, history, mathematics, and medicine to name but a few. Moreover, this is an easy-to-read, intelligent, honest book not to be overlooked as Harper spews scientific theory and salutes spiritual teachings equally. He sees no contradiction between these two models of reality anymore. There is an irrepressible faith here and a rare chance to find solace in a time-of-trouble by reviewing the insights gleaned from Harper’s communion with the “realm of the dead” and God. 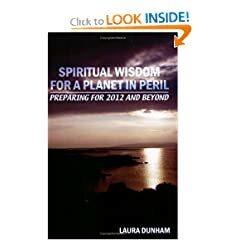 In summary, if you think, you are; and if you are, you will profit from thinking about Harper’s visions of future world events that he outlines clearly to prepare us all for the Second Coming of Christ Consciousness in era-2012. Dr. Laura Dunham has had three interesting careers: higher education, financial planning, and ministry. In the first, she taught English, published books, and served as an academic dean and vice president. She also served on the boards of a college and a national nonprofit. In the second, she counseled hundreds of clients, wrote a weekly newspaper column, appeared frequently in media like Money Magazine, The Wall St. Journal, and U.S. News & World Report and consulted for organizations. In the third, she served as a pastor of churches and a governing body administrator. Her specialties in ministry were financial and environmental stewardship, mission, and spiritual development. She was a trustee of a national church-related foundation for seven years and was commissioned by the Ecumenical Stewardship Center to write Graceful Living: Your Faith, Values, and Money in Changing Times, published in 2002. In addition to B.A., M.A., M.Div., and Ph.D. degrees, Laura holds a Certificate in Spiritual Formation. She was a Certified Financial Planner for twenty-one years and for a time co-chaired the board of the New Mexico Community Foundation. Following an early retirement, Laura moved to Chapel Hill, North Carolina with husband Alden, son Tom, and their companion animals. She opened a center where she taught spiritual development, metaphysics, and spiritual energy healing for people, places, and the planet. Her work and interests have taken her to more than forty countries around the world. She now focuses on sharing through her writing her spiritual journey and the knowledge, experience, and wisdom it has brought her over her lifetime. While doomsayers look to the year 2012 as the end of life, authors Sri Ram Kaa and Kira Raa see humanity on the brink of a new horizon. 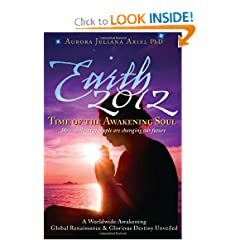 Theirs is a multi-dimensional world populated by angels, and in The 2012 Awakening they have created a guidebook for the soul that can lead to a spriritual awakening and a life based on truth and joy. 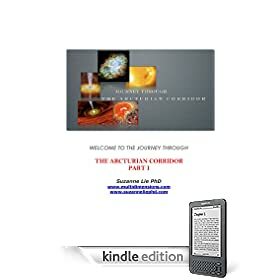 This book contains magical lessons, personal exercises and perspective-altering parables that allow readers to transcend their everydayness, enjoy a deep happiness and recognize their individual significance and value to the planet. 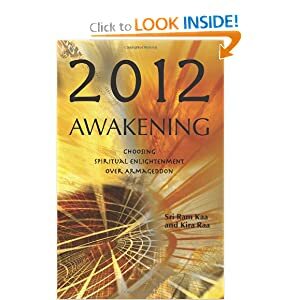 Whatever one’s belief system, whatever level one is seeking, The 2012 Awakening is relevant — from dealing with fear to living in joy, and from understanding the cosmos to exploring otherworldly realms. In late 2012, Myca and her friends were transported to a utopian planet called One World along with over a million others of high vibration. It is now 2015, and she has become a Master Emissary whose assignment is to journey back to Dark Planet (Earth) to help the remaining populations raise their consciousness levels and thus their vibrations so that they may also transcend to One World. Joining her in this epic mission are Yeshua ben Joseph (Jesus), Buddha, John Lennon, and many others. The emissaries use teleportation, time manipulation, music, telepathy, and other miraculous works to impress the teachings into the minds and hearts of the entities still living on Dark Planet, which is plagued with climatic disasters, terrorism and chaos, and is rapidly coming to its end. 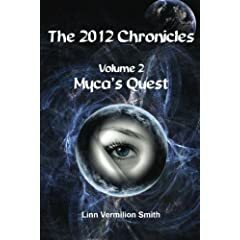 Myca’s Quest is a fantasy that teaches the importance of living in love and joy every day and delivers a message of hope to people confused about the implications of 2012. Linn Vermilion Smith is a writer and spiritual teacher who lives on the island of Kauai and conducts spiritual retreats with her husband, Cardell Smith. 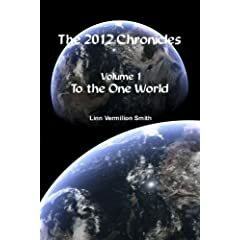 She has written two books in her fantasy series, The 2012 Chronicles – To the One World and Myca’s Quest. Linn was commissioned, through direct inspiration from source, to channel this series. She is currently working on a book with her husband, Cardell, called Quantum Life Changes. This book will outline all of the patent-pending processes taught in their retreats. Her mission in life is to empower others to remember the divine within themselves. She lives in a remote location on the island of Kauai. When Rachel and her friends are transported to a utopian planet called One World along with over a million others of high vibration, she discovers it is a twin planet to Earth, which is also called Dark Planet. As she learns about her new home, Rachel finds that teleportation is the only form of transportation, remote viewing and telepathy are the norm, everyone lives in peace, joy and abundance, and society is learning instant creation in the Quantum Field. On One World, animals are revered as entities that have a deep connection to Source Energy and they communicate with Rachel in her job as an Animal Interpreter. Back on Dark Planet, destruction and chaos abound as the Earth is overrun by dark energy and nears its end. Filled with exciting technology such as the Beauty Enhancement Mechanism and recreational Pico Wings, To the One World is a delightfully entertaining fantasy that reminds us of the importance of choosing to live in joy and high vibrations every day. Linn Vermilion Smith is a spiritual teacher and channel who conducts retreats and seminars with her husband, Cardell Smith. She seeks to empower others to realize the divine within themselves. She travels worldwide and lives on the island of Kauai. 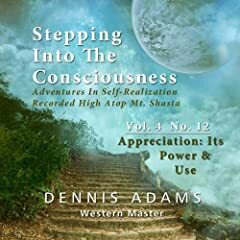 Dennis Adams Seminars proudly presents a dynamic four volume series designed to bring into play the advancement of our consciousness by learning about and activating our higher selves.This series is unique due to the fact that each master was recorded between 7,000 and 12,000 ft high atop Mt. Shasta, so the insights used from a high, clear mountain view are very powerful.Each CD covers different subject material which can inspire our Being to grow. By using simple everyday tools and techniques we can lift our consciousness and dwell in the presence of God.The content of these CDs basically take the things we say and do continuously and allows these things to serve us simply by understanding how they work and transform your everyday life into a relaxing and fun experience.Excerpt: “And one of the things I learned over the years was that regardless of what it was that was being reflected back to me, to be truly and perfectly happy and content with that because that is what I created. And if we can be happy and content within ourselves, it doesn’t matter what is happening, because we will be happy and content and we will begin to receive the understanding how to do that regardless of what the outside world is reflecting to us.”This product is manufactured on demand using CD-R recordable media. Amazon.com’s standard return policy will apply.